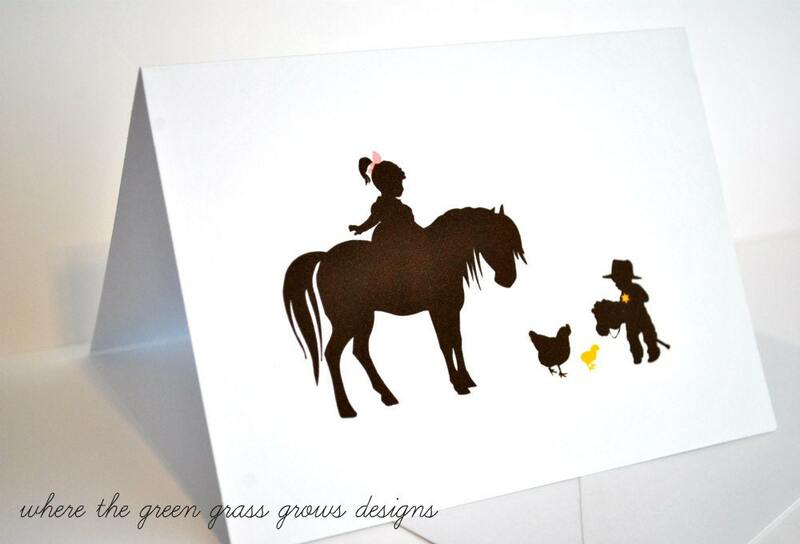 Included in this listing is a set of 12 note cards featuring a little girl riding a pony with pink bow, with a younger cowboy on a stick horse among a hen and baby chick. Images are dark brown with a yellow chick. You will receive 12 cards and 12 matching envelopes. Inside of card left blank for your own personal sentiments. I enjoy customizing, message me if you have any questions or order instructions.